He has been a leading businessman of Singapore for several decades, & was awarded the Singapore Businessman of the year 1995. 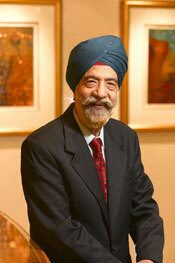 He is the Chairman of Thakral Group. One of the most important things in business is to be creative, otherwise you will overlook the opportunities for growth.